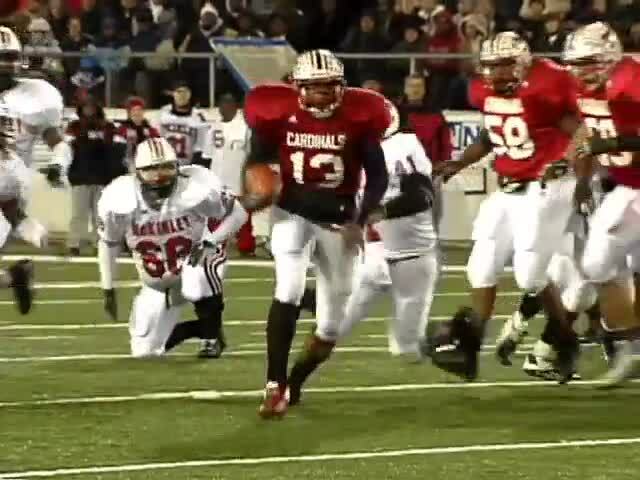 QB Dominick Goodman ran for a title-game record 259 yards and scored a record-tying 4 TDs to lead the Cardinals to a 2004 state crown with a 50-10 rout of Canton McKinley. > Watch game highlights narrated by WCPO Sports Director John Popovich in the video player above. 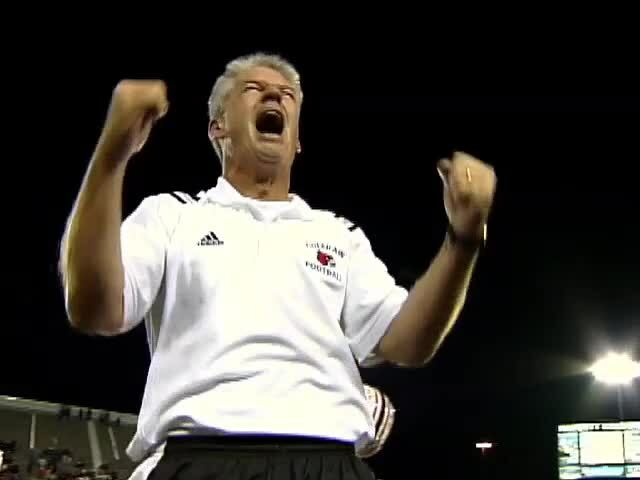 CINCINNATI – Coach Kerry Coombs and his Colerain High School football team went from heartbreak in 1995 to the highest heights nine years later. Four days before it was to play in the state championship game, the undefeated ’95 team had to forfeit all of its victories – and its place in the finals against four-time defending champion Cleveland St. Ignatius – after it was discovered that Colerain had unwittingly used a fifth-year senior lineman whose eligibility had expired the year before. 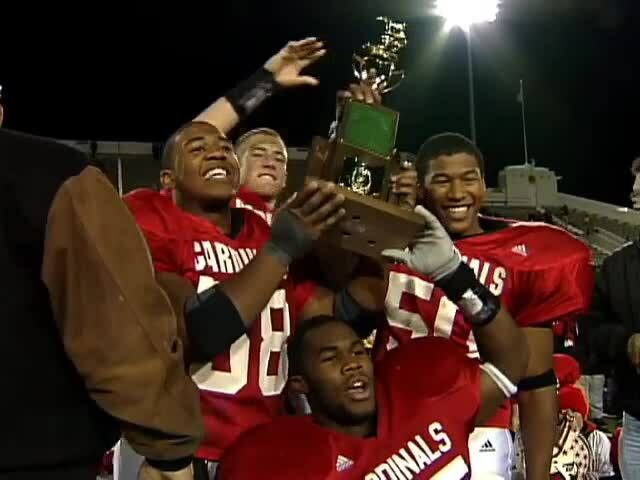 In 2004, another undefeated Colerain team came to Canton’s Fawcett Stadium to bring home the title. 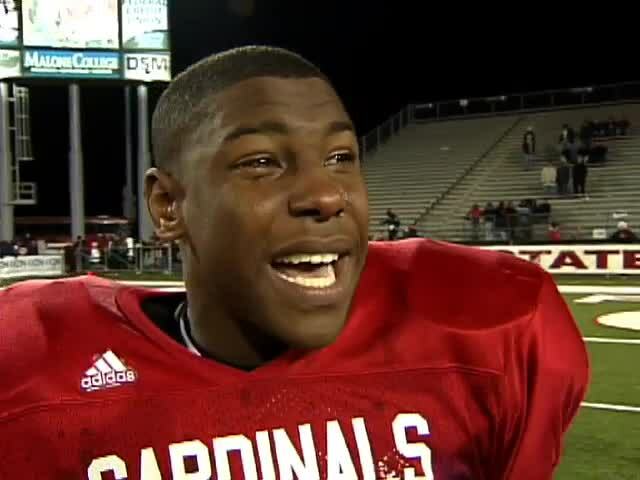 Led by quarterback Dominick Goodman’s record-shattering 259 rushing yards and four touchdowns, the Cardinals routed Canton McKinley 50-10 on its home field in the most lopsided Division I final ever. A dozen or so players from the 1995 team were there – along with about 10,000 Colerain fans who packed half of the stadium. Afterward, Coombs hugged All-American tackle Jefferson Kelley, quarterback David Murphy and others from the ’95 team and said he was sorry they didn’t get the chance to feel the thrill of that moment. But Coombs said running back Ronnie Alexander corrected him. Now coach Tom Bolden, an assistant in 12004, leads the undefeated 2018 Colerain team to another state championship game Friday night against Lakewood St. Edward in Canton. SEE more coverage at WCPO.com and join our Cincinnati Area High School Sports Facebook page.